Breathtaking scenery with stylish architecture combine to make Chamonix a true experience for all who visit. Chamonix is set at the foot of Europe's highest mountain, Mount Blanc. The cosmopolitan town centre offers a good range of shops, bars and restaurants. Argentiére lies just 8kms further up the valley and is linked by a free bus service (with a ski pass). The town itself is based around a core of hotels and villas built at the end of the nineteenth century, established before cars became popular (and so leads to heavy traffic). The centre itself has maintained its charm, with cobbled pedestrian streets, majestic old buildings and bustling open squares. 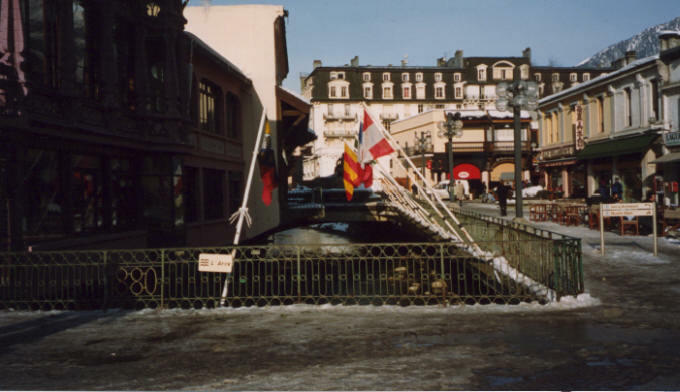 Chamonix is part of a chain of ski areas set along both sides of the valley. The Mount Blanc lift pass covers eight ski areas meaning a bus or car is essential. Snow covering the higher, north-facing slopes is good, whilst the south-facing slopes of Brévent and Flégère suffer in the warmer weather. Chamonix is home to the Compagnie des Guides de Chamonix, the oldest and most renowned mountain guiding service in the world. 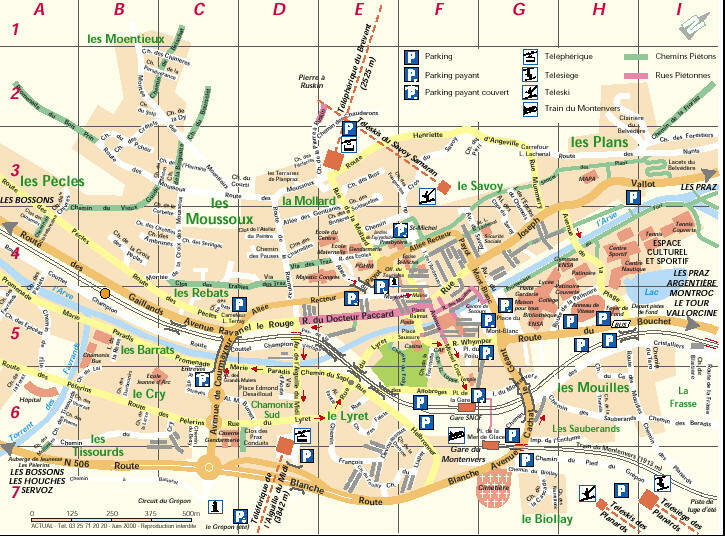 video bars such as Le Choucas and Driver are fashionable, or try along the Rue du Docteur Paccard. The bars such as the Chambre Neuf fill up at between 5-7.30pm. The party kicks off again at about 10.30pm at Arbat with live music. try The Bumble Bee, Bar du Moulin, La Cantina and the Mill Street Bar. Le Pub and The Ice Rock Cafe in Chamonix Sud is worth a visit. Tourist Office, 85 place du Triangle de l'Amitié - 74400 Chamonix.